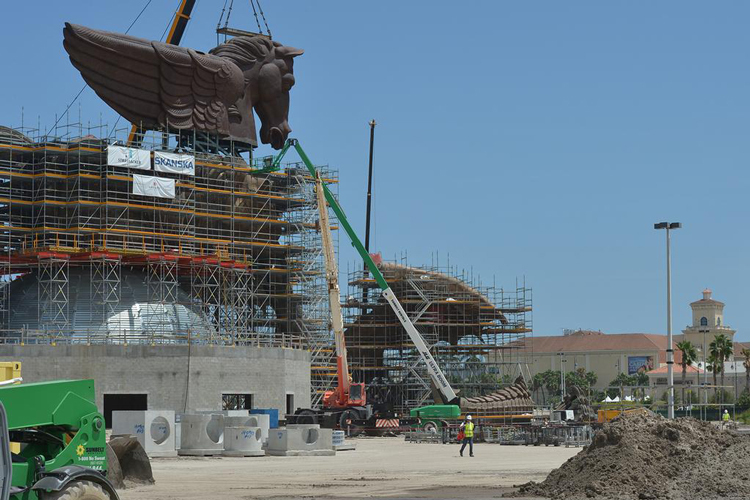 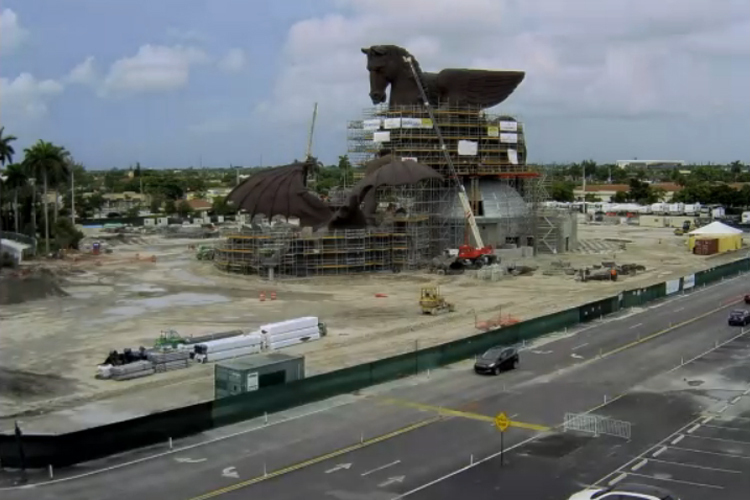 The owners of the Gulfstream Park has updated their existing race track with the construction of a new facility adequately named Pegasus. 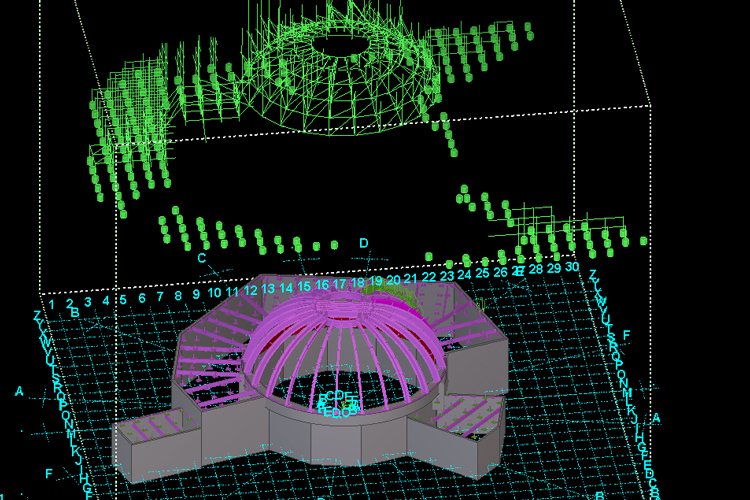 Included in the plans was a large dome whose structural support would be comprised of wide flange steel beams curved the hard way (against the strong axis). 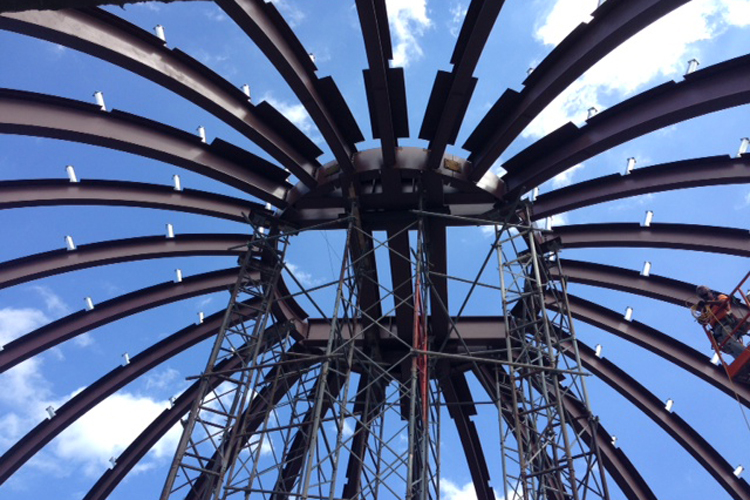 W18 x 35 beams and W24 x 103 beams were rolled to a 29′ 1.875″ outside radius as the “ribs” for a dome.